Enjoy a feast for the eyeballs with your meal! SkyPoint Observation Deck’s ‘Seventy7 Cafe & Bar’ boasts 360 degree views of the stunning Gold Coast from sea to hinterland and over the canals and city lights below. Seventy7 Cafe & Bar is open for breakfast from 7:30am to 10:30am 7 days per week. A new continental buffet is on offer ($29 per person, including admission) with a selection of sliced and poached seasonal fruit, cereals, mueslis, French pastries, baked speciality breads, coffee – tea – and juices. An a la’ carte breakfast is also available. Already had breakfast? From 11am SkyPoint also offers their all-day-menu that features shared platters such as their signature high tea or impressive seafood basket for two. Also on the menu you’ll find fish & chips, salt & pepper squid, slow cooked pulled pork open sandwich and much more. 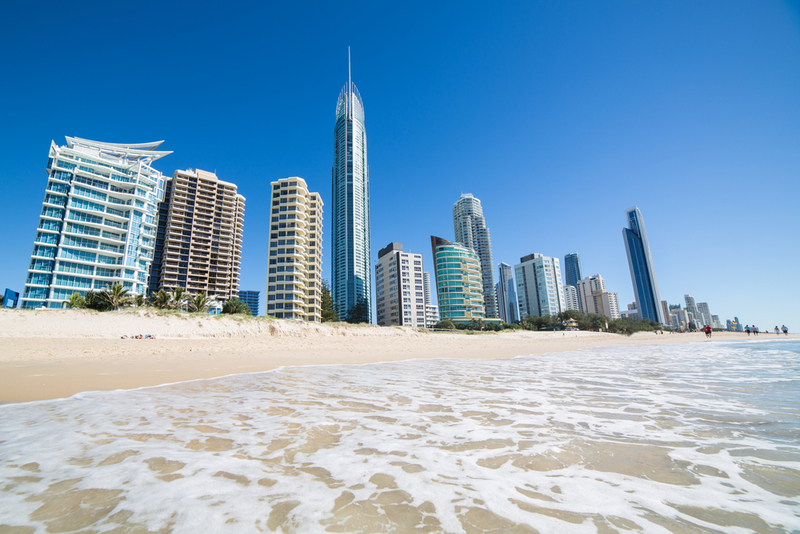 SkyPoint Observation Deck is located on level 77 of the Q1 building in Surfers Paradise. Free parking is available to visitors, you could also catch the Gold Coast light rail from your accommodation at The Shore Holiday Apartments. For more information visit Seventy7 Cafe & Bar on the SkyPoint website.